Roadwork: Why do Boxers Run? While few runners are boxers, nearly all boxers are runners. Strange? Contradictory? Perhaps, although there are some key differences between running to train for boxing and running to enjoy the sport of running. For instance, runners typically train for one purpose, which is of course to develop their straight-line running speed and stamina. However, boxers don't just move one direction or at one pace, and instead move backward, forward, up, down and sideways. They also need to develop explosive power and quickness, along with balance and coordination, all of which running alone won't fully accomplish. And, there is even more to it than that. 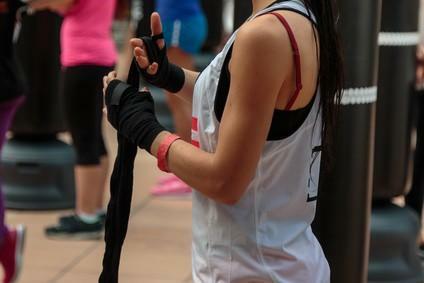 In fact, let's fill you in on what you need to know about boxing roadwork, how it can help you become a better combat athlete, and how to correctly use it in your boxing workouts. First, let's get one thing straight: boxing roadwork is NOT the same as distance running, nor should it be treated as such. If you want to be a runner, be a runner—nothing wrong with that. It's a great sport with many benefits, although preparing you for the ring isn't one of them. However, let's start by looking at the iconic scene in "Rocky II" in which Sylvester Stallone runs through the streets of Philadelphia to the delight of dozens of his young followers. 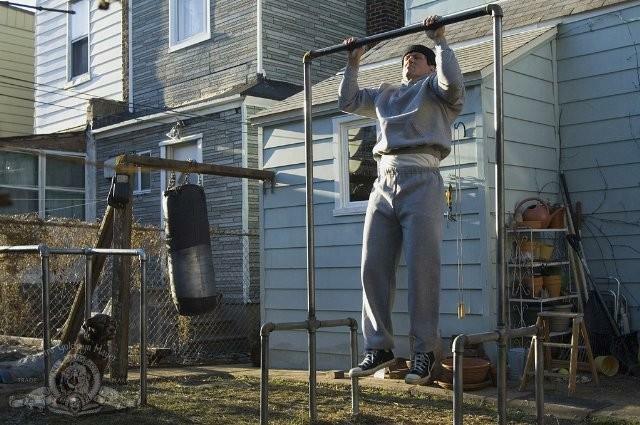 In the scene, we see that rather than just jogging along at a steady state, Rocky shadowboxes and adds wind sprints, leaps over obstacles, side steps and stutter steps to his workout. He also finishes with a hard push up the 72 stairs leading to the Philadelphia Museum of Art (now known of as the "Rocky Steps," by the way), and then continues to move and shadow box at the top of the steps as he regains his breath. He throws his arms up dancing in victory as though his young followers are rabid fans cheering a knockout victory, and he never stops moving as he soaks it all in. This all seems like something he randomly throws together just to entertain the kids, right? No, since everything he does has an intended purpose to his training, right down to the dancing at the top of the steps. For instance, we see Rocky begin with a steady-state warmup, after which he adds sprints and park bench hurdles in between lengths of easy jogging. He also keeps his hands up and moving through combos when he can, and uses obstacles, side-steps and stutter-steps to engage his muscles, improve his balance, and instil coordination. And, that dance at the top of the steps with arms held high in victory? That may arguably be one of the most important aspects of all, since in order to be the champ, he needs to see himself as the champ. No, this doesn't mean you need to make a spectacle of yourself at the end of every training run although using visualization can help you become a better fighter. Getting the most out of your roadwork means making sure it to reflects the rigors of a fight. This means avoiding the "old school" approach, which is to plod along slowly for miles-upon-miles. Yes, doing this does have cardiovascular benefits, but that's about it. Instead, you need to mimic the bursts of intense power, quickness, constant motion and stability you need in the ring. As with any workout, it all starts with a good warmup, which for running should come in the form of a slow and steady jog. This usually means about 1.5-kilometres (around 10-minutes) of steady-state running at a pace easy enough to hold a conversation without running out of breath. Getting the hands up and working through combos is also recommended during the warmup, which will help engage upper body and core muscles along while instilling focus and visualization. 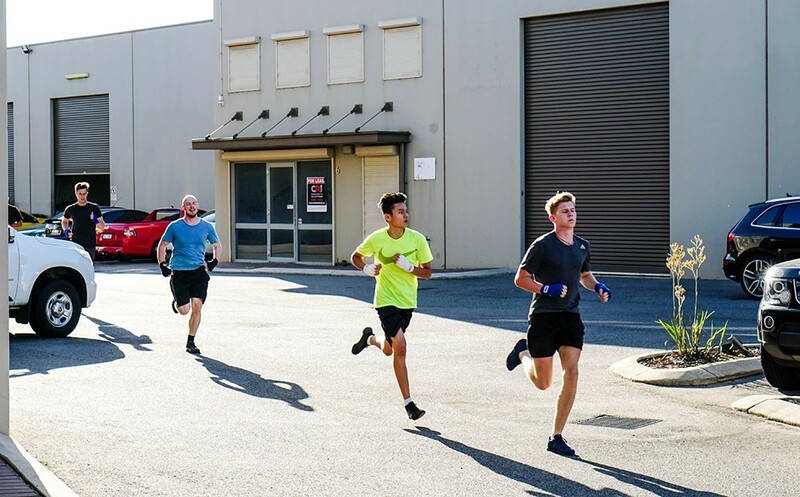 Once the warmup is complete you can begin short sprints of around 100-metres each followed by slow jogging and shadowboxing for around 150-metres. The sprints need to be at an anaerobic pace, which means running hard enough so that speech is nearly impossible, and recovery should be a slow jog of around twice the duration of the sprint (20 seconds on followed by 40 seconds off, for instance). Doing this is what is called "high intensity interval training (HIIT)," which not only improves muscle strength and power, but also aerobic endurance, anaerobic endurance, and your body's ability to burn fat. However, we also need to remember that this is boxing we are talking about here, which rarely requires straight line speed and power. In fact, most of the time boxers move sideways, backward, up and down. This means that lateral movement, upper body movement and even running backward should also be added to a running workout to better mimic the game of boxing. Stutter-steps and side hops—These can be done during recovery periods along with shadow boxing to help engage different muscles along with improving balance and coordination. Do side-to-side hops while evading imaginary punches before stutter-stepping suddenly and unpredictably and continuing. Burpees, squats and "boxer's push-ups"—These can be added in between wind sprints and can also be part of shadow boxing and visualization. For instance, boxer's push-ups are an evasive technique in which you drop to the canvas and pop back up using what is essentially a burpee and can be done while shadow boxing to avoid an "opponent's" punch and keep core and upper body muscles engaged. You can also stop trailside and do burpees, squats, or even chin yourself using playground equipment or tree branches before resuming the run, although remember to keep moving and keep all your recovery active. Stairs and hills—Pushing hard up stairs or hills is also an excellent way to add intensity to intervals. Remember too that this works in both directions, since downhill (or downstairs) running is also a great way to engage your quads, although due to risk of injury, running downhill should be limited to an active recovery pace only. Running backward—Running backward can be done in place of a regular interval and is a great way to engage quads and other muscles not utilized in forward motion. Remember that boxing often requires moving backward quickly, and backward running also helps develop coordination and balance. While the idea of boxing roadwork may have you envisioning jogging along for endless miles, it needs to be more than that. In fact, by making your roadwork reflect the intensity, quickness and rhythm of boxing, you can not only gain the strength and stamina you need in the ring but the mental vision of winning as well. Plus, mixing it up on the road doesn't just prepare for the ring, it also keeps your workouts from becoming boring—which is something steady-state jogging almost always is! We would hardly associate someone like Fred Astaire with the great Muhamad Ali—at least not so far as their chosen professions are concerned. After all, while Astaire was known for the elegant grace of his dance steps, Ali was known for his fierce determination, lightning-quick hands, and ability to knock his opponents to the floor with his powerful punches. But, it was Ali's graceful footwork in the ring which enabled him to land those lethal punches–much like how Astaire's footwork carried him into the spotlight. This is because it was Ali's footwork which all other aspects of his fighting were based upon, and without a solid-yet-mobile base, none of his other "tools" would have been nearly so effective. Being an effective fighter means having more than one dimension to your game. By this, we mean you need to develop an entire set of strengths and skills, rather than merely doing one thing you are best at to win fights. Sure, you may have a wicked left hook which is your go-to punch, although once an opponent understands this, they will be looking for it. This makes it easy for them to defend against it, which then limits that strength. However, if you improve ALL your punches and combos and turn your weaker punches, etc. into strengths, you will better improve your chance of winning fights. This is where footwork comes in, since that is what everything is based upon. This is arguably the most important aspect of your boxing, since your ability to move efficiently around the ring and maintain control of a fight will determine your ability to win rounds, period. Correct punching technique also comes from correct footwork, and without it, you end up with weak, ineffective punches which may not even matter, since you likely won't be landing too many of them anyway! Your footwork needs to be as economical and efficient as possible, and free of unnecessary movement. It should also help you be as unpredictable as possible to your opponent while remaining balanced and in control. In fact, it is advised that if you are new to boxing, it is best to avoid trainers who encourage a "hands first" approach, and instead opt for those who put an emphasis on teaching correct footwork before anything else. This will ensure you are learning how to do things correctly the first time and will eliminate many bad habits to unlearn up the road, such as flat-footedness, or the kind of excessive dancing which wears you—rather than your opponent--out. 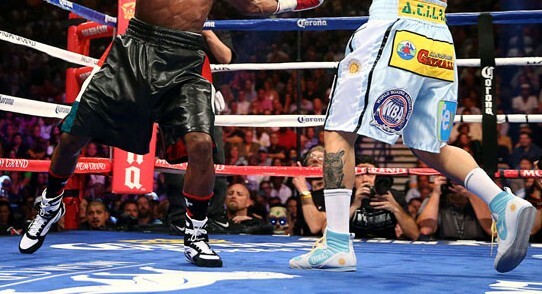 To work angles, control distances, and dissect the ring, you need correct footwork, and correct footwork comes (as do all aspects of your boxing) through discipline, practice, drilling and exercises. Here are some the drills and exercises which can help you, although you are the one who needs to provide the discipline to practice until everything is perfect—which, as any veteran boxer or trainer will tell you, it never will be, so keep practicing! Jumping rope—Yes, there is a reason jumping rope is so popular in boxing training, since it is not only an excellent way to build endurance, it can help you improve your footwork. And, while doing standard feet side-by-side rope-skipping can benefit your footwork, doing "tricks," such as single-footed hops, criss-cross feet jumps, and "double-unders," can take your footwork training to a new level. Sure, you may have seen other fighters in the gym going through these types of rope-skipping exercises and thought they were merely having fun and showing off. However, it is this kind of "showing off" which helps build foot speed, balance and coordination—all while developing cardiovascular fitness and endurance. Shadow boxing—Fighting without a partner may seem…odd, although shadow boxing is one of the best ways there are to not just develop proper footwork, but all aspects of your fighting. This is because by concentrating on correct footwork (and other aspects of your fighting) while shadow boxing and strictly adhering to doing it right, you can better commit everything to muscle memory. This means that when you do step into the ring against an opponent, those moves will be as natural to you as walking or riding a bike, which means less chance of you making a costly mistake. "Dancing" with a partner—Like shadow boxing, dancing—or rather, working with a partner and mimicking each other's footwork—is an excellent way to develop correct footwork. It also helps each fighter hone their reaction times, and both can take turns deciding who is Fred Astaire, and who is Ginger Rogers (don't worry, nobody needs to wear a dress…). All kidding aside, start with both fighters facing each other with about one-meter's distance between them. The lead fighter then moves about as though sparring, and the other fighter follows the lead fighter's steps as though he or she is an image in a mirror. Do this for a round, and then switch roles. Set up an obstacle course—Just like with footballers and other athletes, footwork and coordination can be improved using simple obstacle course drills. For obstacles, nearly anything will work, though cones or a ladder tend to be the easiest to use. However, in a pinch, gym weights, towels, or other similar items can be strewn about in nearly any pattern for you to zig-zag through, hop over, or do cross-foot steps across. The idea is to establish a pattern to work on before changing things up and re-patterning the obstacles for something new. By changing what you are doing and not just repeatedly doing the same thing, you are improving all directions of muscle memory and coordination, which will translate to good footwork, and a solid base in the ring. No, footwork training won't turn you into Fred Astaire, and it may not turn you into Muhamad Ali either, since only great genetics, work ethic and determination can do that. However, what it will do is help you become the best fighter you can be, and if there is one thing you should look to when considering how to improve in the ring, it is your footwork. Or in other words, if you want to sting like Ali, learn to dance like Astaire! Boxers train so that they can have the best possible chance of winning in the ring. In fact, it is the one-on-one aspect of boxing, as well as the need to develop speed, power and strength in their training which brings up the question: Why is sparring without an opponent---otherwise known of as shadow boxing—so important to a boxer's training? 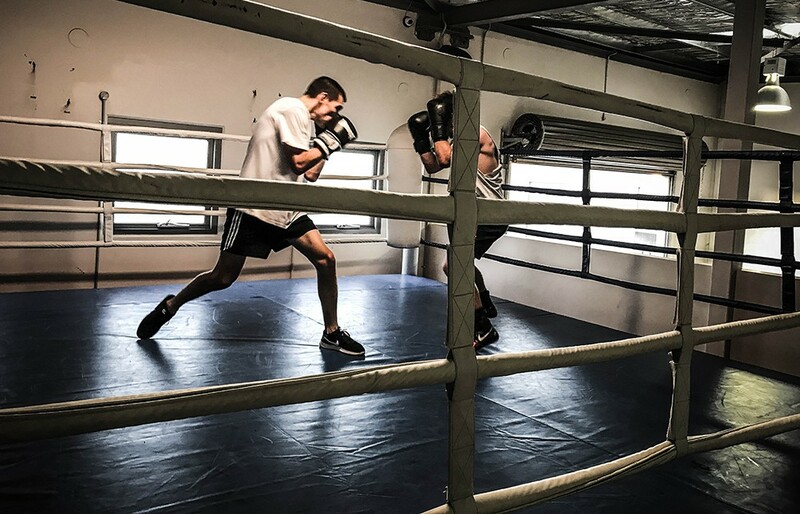 Shadow boxing is, after all, free of any form of resistance exercise or other means of improving power and strength, so why not use sparring in the ring or bag workouts when working through combos, developing footwork, and developing hand speed? After all, doing so would seemingly be the best way to kill two birds with one stone and develop combos AND power AND strength all at once. However, it may not be so simple since, shadow boxing adds elements to training that punching an opponent or a heavy bag cannot. These elements will not only help in making your punches and defensive moves far more effective, but in preparing you mentally to become a better, more confident fighter. Shadow boxing is best described as "boxing without an opponent," and can be used for anything from a pre-fight warmup, to a regular training aid to improve form, footwork and technique. While true shadows can be used to watch for form mistakes and to verify hand and foot speed, it is more commonly performed in front of a mirror, coach, or camera for these same reasons. Perhaps even more importantly, shadow boxing can be used to help you improve your confidence as a fighter through visualization, and by perfecting your use of combos, footwork, and hand speed in a fluid and effective manner. By gaining confidence and a positive image of yourself against an opponent, you can better position yourself to "win before stepping into the ring," which is arguably be the most powerful advantage you can have as a fighter. However, this does not mean that shadow boxing is only for those intending to step into the ring against a foe, since it can also help to improve the aerobic capacity, fitness, and speed of those looking for the kind of ultimate workout which boxing training provides. Boxing is a sport which requires a strong, balanced base from which you can move both offensively and defensively. In fact, good fighters need to be able to move into and away from an opponent to throw punches and to avoid punches being thrown, and they need to do it with lightning speed, pinpoint accuracy, and without hesitation. This requires all potential offensive and defensive moves, techniques, and combos to be fully developed to the point they are an automatic and ingrained reaction to the situation, which the free-form nature of shadow boxing is ideal in developing. And, as you become more confident in having all your "tools" readily at hand in the ring, you can be more confident in knowing you can both duck and evade your opponent's punches, as well as place a punch of your own the instant you see an opening. In short, shadow boxing can help you to better "float like a butterfly" before you "sting like a bee." First, it gets you comfortable moving around fluidly and used to the natural rhythms and motions of throwing punches, ducking, and evading being hit. This helps you make the connection between having a powerful punch and having a powerful and EFFECTIVE punch. Next, it allows you to develop the kind of positive visualization that can help you remain relaxed and ready for your opponent's next move in the ring, rather than being apprehensive and purely reactionary. This helps you develop a calm energy which allows you to be a more effective and efficient fighter. In fact, it is this relaxed sense of calm which you see not just in boxing, but in a good cricket swing, football catch, or most any well executed athletic move. However, if you lack ample time shadow boxing in your training, your lack of these qualities will show dramatically! While shadow boxing offers excellent mental benefits to helping you become a better fighter, there are some important physical ones as well. For instance, fighters who spend all their time working out on the heavy bag to develop striking power often have underdeveloped back muscles. This causes them to tire easily and lose the effectiveness of their punches in the ring when they can't return to striking position quickly enough. This is because hitting the heavy bag offers a "bounce-back" to your punch so that less back muscle is necessary when pulling back punches. There is also your aerobic development, as well as slow-twitch muscle fibres which will give you longevity and endurance over your opponent in the ring. By getting used to moving around like a fighter and utilizing all these muscles in unison, you are not only developing endurance, you are doing so in a functional manner. By this, we mean rather than strengthening a muscle to act on its own, you are training all muscles together in a functional manner. This will make them stronger as a unit while reducing your risk for injury and honing your form. Who would think that bouncing around and acting as though you are fighting could make you a better fighter, although it can. Whether you are training for your first bout, or just enjoying the benefits of the best workout there is—AKA fitness boxing—you need to use shadow boxing in your workouts. Not only will doing so help you to move more quickly and effectively in the ring, it will help you do so in the kind of focused, relaxed, and confident manner that is dangerous to your opponent. 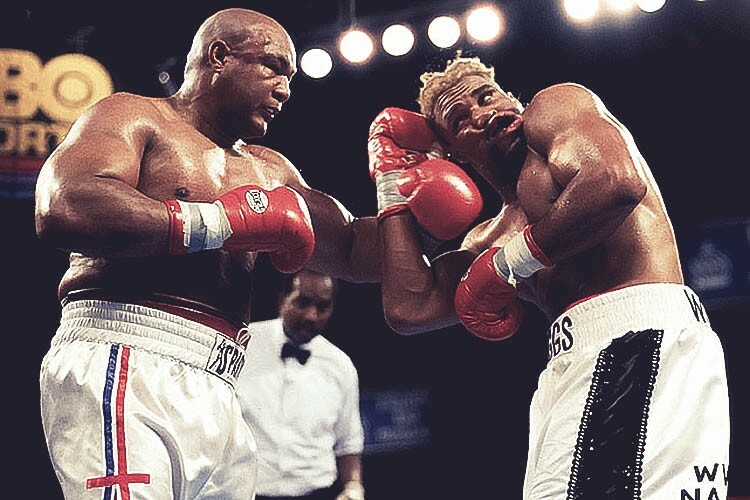 When he was 45-years old, George Foreman became the oldest heavyweight champion in history and did so by knocking out 27-year old Michael Moorer. Even more impressive was the fact that he did this after coming out of a 17-year long retirement, and then went on to fight professionally for another 3-years until he retired once again in 1997. Think about that: Competing at the highest level of a "young person's sport" well into middle age and beating an opponent who wasn't even a teenager at the time of his first retirement. Could it be that "Big George" is the second coming of Superman? After all, at 48 years of age, most of us would think twice about pickup games in the backyard with our nephews, much less fighting in a heavyweight boxing ring! Or, could it be that the intense workouts he performed while training for his fights kept him fit and youthful in a way few other workouts could? Aha, perhaps we're onto something here! Read on to find out how you can not only enjoy boxing despite your accumulation of birthdays, but how it can help to keep you young—and, tremendously fit. A Young Person's Sport? Hardly! No, you won't find many boxing gyms in senior homes, nor will you find many boxing newbies over the age of 30. However, this does not mean that just because you are pushing middle age you are destined to a life at the bingo table. In fact, as the grey begins to show, there is no better time to get away from the sort of low-impact, steady-state exercise we are often told is best for us at our age. Simple. As we age, we begin to lose muscle mass which is not being utilized. We can increase muscle mass lost but it takes hard work, planning and dedication. And, merely running or using a treadmill does little to counter this. In fact, doing so will likely just put you in the kind of rut that has you wondering if perhaps you are too old to see any fitness gains. However, the kind of HIIT (High Intensity Interval Training) and strength training used to box will do more to counter the effects of age-related muscle loss than steady-state endurance exercise can. This is because intense interval training not only strengthens your fast-twitch power muscles, it is one of the best forms of exercise to increase your body's Human Growth Hormone (HGH) production. And, as we all know, HGH is the stuff which keeps us young! Plus, using high intensity weight training, sparring, and interval training will have your metabolism screaming along like a youngster's—something which doesn't stop when your workout ends. In fact, most boxing workouts will have you burning extra calories for hours after completion—even when you have your feet up relaxing! And more importantly, you will be retaining muscle mass, rather than losing it. Can I Still Become a Champion? Of course, the REAL benefit of boxing is…the FUN! However, you may be worried that you, being a few years older, may never have a shot at becoming a club champion. But, there is hope--let's go back to George Foreman for a moment, shall we? Remember that he not only came out of retirement and became a champion again as he was pushing age 50, he did it against a foe who was but a schoolboy when he retired the first time. However, this doesn't mean that you can (or should) just go up to the youngest, fittest individual in your gym, challenge them to a fight, and win. In fact, doing so would probably be the fastest way to the canvas short of just laying down on it for a nap! But, by competing within your age range and against opponents at your ability and fitness level, you can experience just how intensely fun and competitive the fight game can be. Plus, you never know—you may have some of what George Foreman has and be able to move up to more challenging and—dare we say it? --younger opponents! That said, you need to start somewhere, which, for the sake of your safety and continued enjoyment of the sport, needs to be against opponents you are well matched against. When you keep it fun from the start, you have a much better chance of continuing to enjoy it as you become a more skilled fighter. So, Just Anyone Can be a Boxer Then? Finally, let's get one thing straight: Just because boxing has no official age limit, it does NOT mean that it is a good idea for just anyone to just jump in and begin wailing away at a high intensity. For one thing, if you are coming off a sedentary lifestyle and looking to return to shape, you need to do it slowly, and preferably with an experienced professional trainer to guide you. Likewise, you need to consult your physician first before engaging in any high-intensity sport. Even if you feel as though you are in shape, such factors as heredity and natural declines due to aging must be considered, and your doctor can best verify whether you are up for boxing. A good trainer can also be well worth the investment, since they will understand your strengths, weaknesses, skills and ability levels. From this they can not only help you improve in areas which will help you stay injury-free, but that will help you become a better fighter as well. Sure, George Foreman may be an exceptional individual, although he is still made of the same flesh and blood as the rest of us. Only that age is a number, and that despite your age, there is no reason you can't enjoy a "young person's sport." However, ensuring that you are staying within your abilities and that you have no dangerous medical conditions before starting is crucial, even if you are made of the same material as Big George! So, having tried fitness boxing, you're now hooked—and good for you! It is, after all, one of the fastest-growing workouts there are. And no wonder, what with the intense, fat-burning exercises and routines designed to build strength and endurance like you never thought you had. 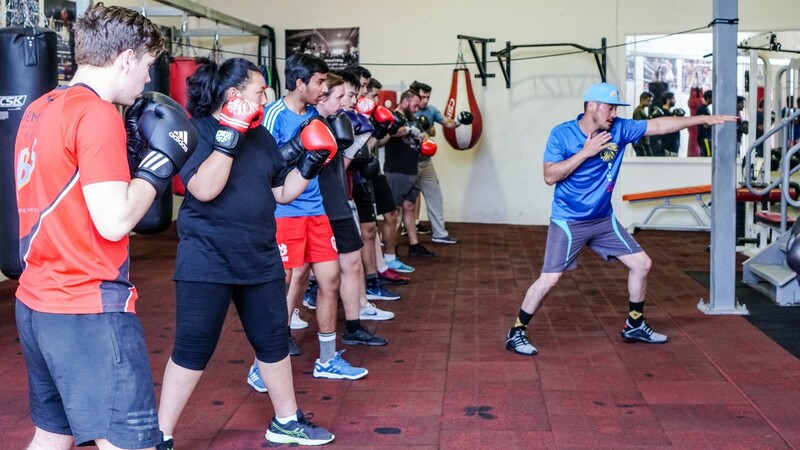 Plus, there is the fun, social atmosphere of fitness boxing, just to make it that much better! In fact, you love it so much that you probably think about it even while you're not in the gym. After all, wasn't that you sneaking in a little shadow-boxing session at the office the other day when you THOUGHT no one was looking? Heh heh, nothing wrong with that! Here are 6 workouts you can do in the comfort of your own home, while you're on vacation, or even when you THINK no one is watching at the office. You want to know the true beauty of this exercise? You don't even need a rope! Sure, there is nothing wrong with keeping a jump rope on hand for a quick aerobic burst to your day, although you can get the same benefit from jumping in place while miming the circular motion of swinging the rope with your hands—is that beautifully simple, or what? But, isn't there some way to intensify things? Yup, there sure is! In fact, try grabbing a couple of tins of soup and hold them while miming the rope swing. This will act in the same manner as using a weighted jump rope and will give you some additional fat-burning resistance, along with helping build muscle strength in your shoulders, arms, and wrists. One of the most simple, effective and low impact exercises you can do is the plank—although notice no mention of planks being low-intensity? That is because when performed correctly, planking can bring on the burn like no other exercise--and do so quickly. Plus, it is one of the best exercises there are for building a solid core. And—unlike sit-ups or crunches—planks have minimal risk of back injury. Even better, they can be done anywhere there is room to be prone on your hands and toes, such as in your work cubicle where you think no one can see you! And, by doing a basic plank for 30 seconds or longer each day, you can develop a rock-solid core, which is the kind of platform you need for optimum athletic strength, balance, and posture. By adding any of the many variations--such as side plank, one hand/one leg plank, or even adding a bench or exercise ball for inverted planks--you can achieve a full-core workout which can't be matched. And, you can do it anywhere! Want to polish your punching form and keep it sharp for the gym? Shadow boxing will not only do that, but with proper intensity, can also burn as much as 400 calories per hour. Not bad for a little dancing around and jabbing which can be done anywhere, is it? Plus, there is no limit to how you can structure your shadow boxing rounds. Work on pure function, form and footwork? No problem—call your combos and go through them as many times as you need to get them perfect. Or, just have fun with it! Use your imagination to fight a fierce foe who only you can see. Add calorie-burning squats as you duck and uppercut using your quads and glutes, while remembering to tighten your core with each punch you absorb from your "opponent." Want to REALLY toughen it up? Try some wrist and ankle weights, which are a convenient way to add calorie-burning resistance to your session. Just remember not to use the heaviest ones you can. Rather, use ones which still allow you to maintain correct form, so that you don't end up altering your mechanics or resorting to bad habits. AKA "boxer's burpees," sprawl is a move used in the ring to avoid being taken down by an opponent. It involves dropping to the mat in a wide-legged plank position, before pushing back up into a fighter's stance and ready to go again, and then repeated. Either do sets of these as part of a HIIT (High Intensity Interval Training) workout or mix them in with your shadow boxing sessions for some added intensity, core strength, and aerobic punch. One more move to add to your home workout is the mountain climber, which begins from a plank position, but has you moving your legs like a sprinter trying to get out of imaginary starting blocks. And, as with planks, there are many variations which you can do to create a full-core workout, such as army mountain climbers (AKA crawling), cross-body mountain climbers, or slow-motion mountain climbers. You can do these on their own or mix them into your shadow boxing sessions for an intense aerobic and full body workout. Sure, you can do regular push-ups for a convenient and effective upper body and core-strength workout. Or, you can take it up a notch with plyo push-ups, which are like regular push-ups, just with a "wheelie" at the top. Basically, you perform a regular push-up, except you explode hard on the way back up to the point that your hands come off the floor. Think of it as though you are trying to throw yourself from a prone position to an upright standing position using only your arms. And, you can combine these with mountain climbers, sprawls and shadow boxing, for strength, endurance and conditioning like you used to think you needed the gym for. Polish your form, burn fat, and build your endurance.Come into our class with fitness and confidence to take it to the next level. It just so happens that nobody is watching right now, so duck down into your cubicle for a quick round of planks and mountain climbers, and perhaps even some shadow boxing, just to make sure the juices are flowing. In fact, so what if anyone is watching? Just do it! Hey Mom and Dad—want your kids to be calm, confident, fit and disciplined? Simple--take them with you next time you go to the fitness boxing gym! No, they won't become little monsters out looking for fights, nor will they end up punch-drunk with head injuries. However, what kid wouldn't enjoy the opportunity to wail away at a punching bag and pretend they're Rocky Balboa taking on Apollo Creed? Plus, you can you save yourself the time of dropping them off elsewhere by simply taking them to the gym with you—how convenient is that? And, the same workout endorphins which help you cope with your daily stress can also help manage your kid's energy levels, make them more focused, and make them less susceptible to depression. 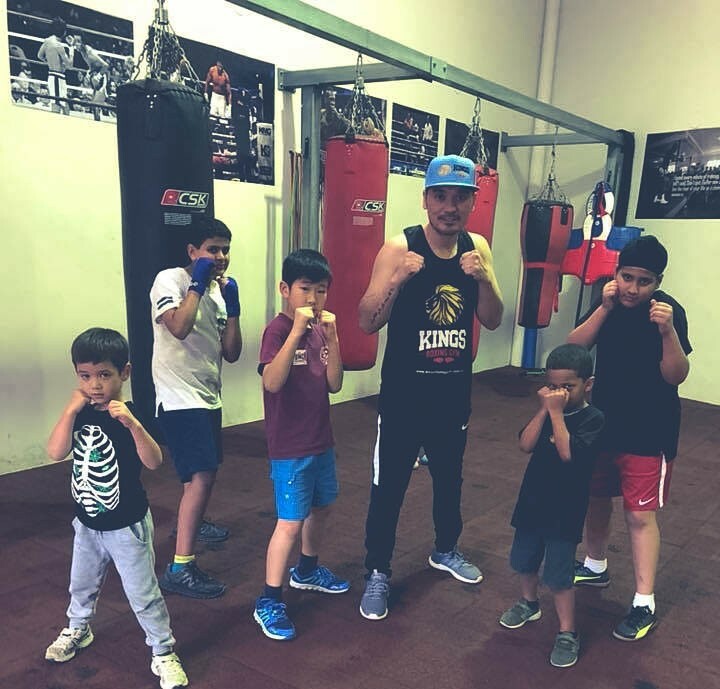 By enrolling boys and girls in the structured athletics of fitness boxing, they will learn the value of discipline, hard work, and fair play, all while improving eye-hand coordination, bone health, and cardio health. And, even if you yourself are not partaking in what is perhaps the most complete workout around, your kids can still take advantage of all the health benefits which fitness boxing provides. Although why not join in too? After all, fitness boxing really is for everyone! Alright, so you are understandably concerned with things like head injuries, particularly with all the recent attention on CTE (chronic traumatic encephalopathy). However, even if your kids do spar during their workouts—which they probably won't—it isn't such a terribly violent or dangerous thing. 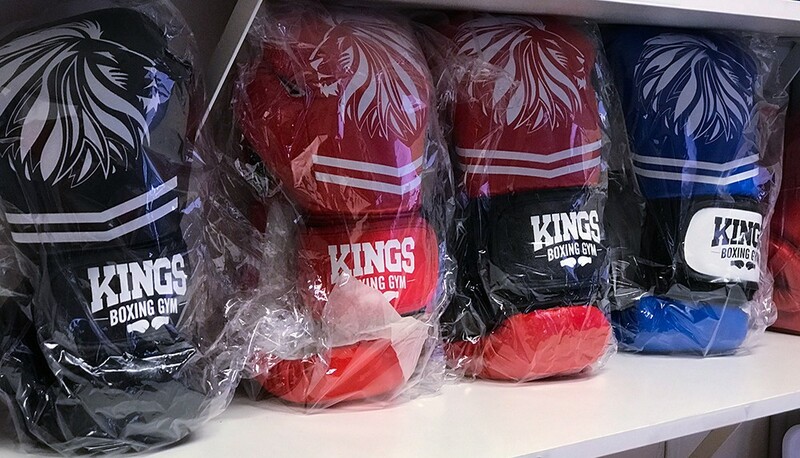 To start, sparring for kids is well supervised to disallow full contact, and done wearing modern protective head gear and heavily-padded gloves. It has also been compared to a game of tag, since the object of the game is to touch the opponent with a glove, rather than to slug anyone's lights out. That said, most boxing workouts for kids don't involve sparring, and injuries are not common. Typically, injuries are of the sore wrist/bruised knuckle variety, and mainly from punching heavy bags and speed bags. So long as full contact fighting is avoided, there are no issues with brain trauma or CTE, and you can be confident that you are not causing your kids irreversible damage by allowing them to enjoy boxing workouts. Plus, with the guidance of a good teacher, kids will learn the importance of doing things right, so that even when they work out on the speed bag or other punch training mechanisms, they will be learning how to do it safely, and with minimal physiological risk. In fact, your kids are likely more at risk for CTE and other injuries on the football pitch than they are in the boxing gym. Oh, and by the way—if you take part in fitness boxing workouts, you too can find out just how safe it is! Won't Fitness Boxing Make my Kids get into Fights? So far as your youngster getting into fights because of learning how to fight, the opposite is typically true. In fact, many inner-city kids sign up to learn boxing to stay off the street, and out of trouble. Kids gain confidence when they learn boxing, although they also learn self-control, and when to back off from being overly-aggressive. Again, sparring (assuming you allow your kids to partake in it) is performed as a game, and is not about seeing who is the last one standing. By showing girls and boys how to control and focus their aggressions, rather than allowing their emotions to take over, they learn a valuable lesson which will get them out of—rather than into--trouble. Plus, there is nothing so satisfying as seeing your youngster going from being picked on, to gaining the confidence to stand up to bullies, and not take the bait of name-calling or peer pressure. And who knows--you may just end up being the proud parent of a schoolyard superhero who stands up for the weaker kids! But My Kids are so Fidgety—Won't Boxing Make Them More so? To be sure, kids who are in good physical shape have more energy than those who are not. However, the energy they get from being physically fit is far more calm and focused than energy from boredom or too much sugar. After all, working out not only keeps them healthy, disciplined and with fewer behavioural problems, it also loads them up with the same endorphins you get from your fitness boxing workouts --you know, the ones which help you keep a cool, calm head when the kids are bouncing off the walls? Plus, youngsters with focus issues, such as ADHD or hyperactivity, need activity to help with concentration, which fitness boxing is perfect for. And, if your kids have excessive energy which is making you a bit batty, off to the gym with them! Let them concentrate that energy on a punching bag, so that you can have your peace of mind while they wind themselves down. You'll all sleep better tonight for it! The benefits of participating in fitness boxing workouts for both your kids AND yourself cannot be overstated, and there are few workouts which will deliver the same level of physical conditioning, discipline, and impulse control as boxing workouts will. That said, there is one reason which supersedes them all: Fun! Yes, the bottom line is, kids love the competition, comradery, and physical outlet which fitness boxing provides, and why wouldn't they? With workouts that include everything from skipping rope to shadow boxing, to hitting the heavy bag and weight training, they will certainly never get bored—especially when they are Rocky getting ready for the big one! And, since they are learning and acquiring new skills along the way, not just their bodies, but their minds are also getting a workout. So, how about it? For kids who are fit, disciplined, calm and smart, there is no better workout for them than fitness boxing.